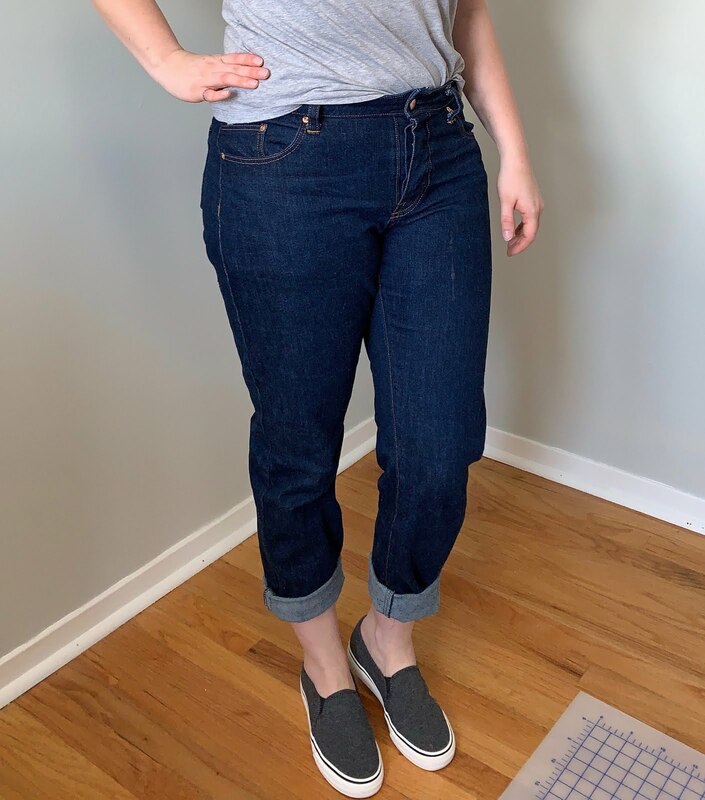 Now that I know I can do it, I am OBSESSED with making jeans & pants. OBSESSED, I tell you. Last year I had maybe 3 pairs of pants, total, in my wardrobe. Only one of them being me-made. Now I'm up to at least 7 pairs, all me-made. 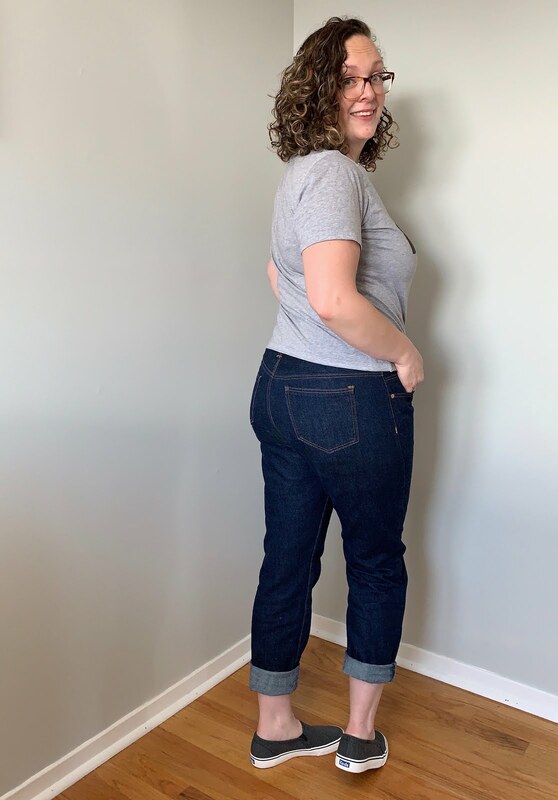 These are (I think) the third pair of wearable pants I made, second pair of denim jeans, and first made from non-stretch fabric. 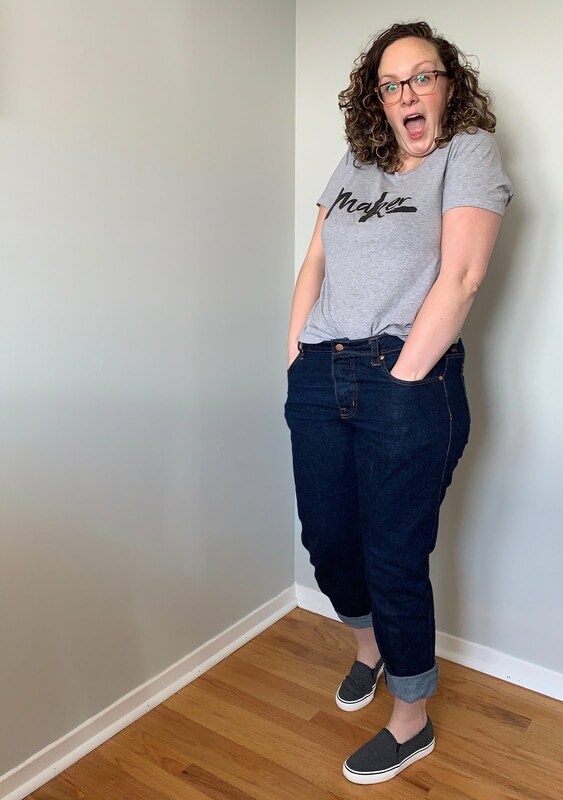 When I bought the 100% cotton Cone Mills denim, it was really stiff and I was worried about how it would sew up. 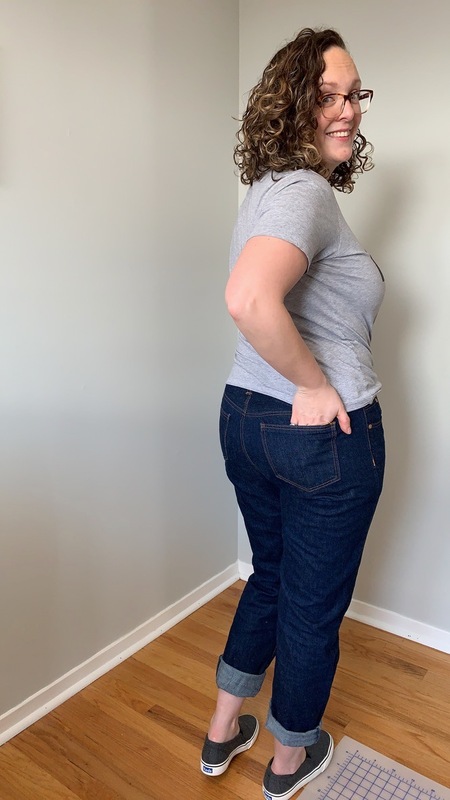 Thankfully it softened up perfectly in the wash, and is just the right weight and slight drape for a pair of "boyfriend style" jeans. Enter, the Morgan Jeans by Closet Case. I am IN LOVE with how these jeans fit. I made a straight size 14 with no adjustments. 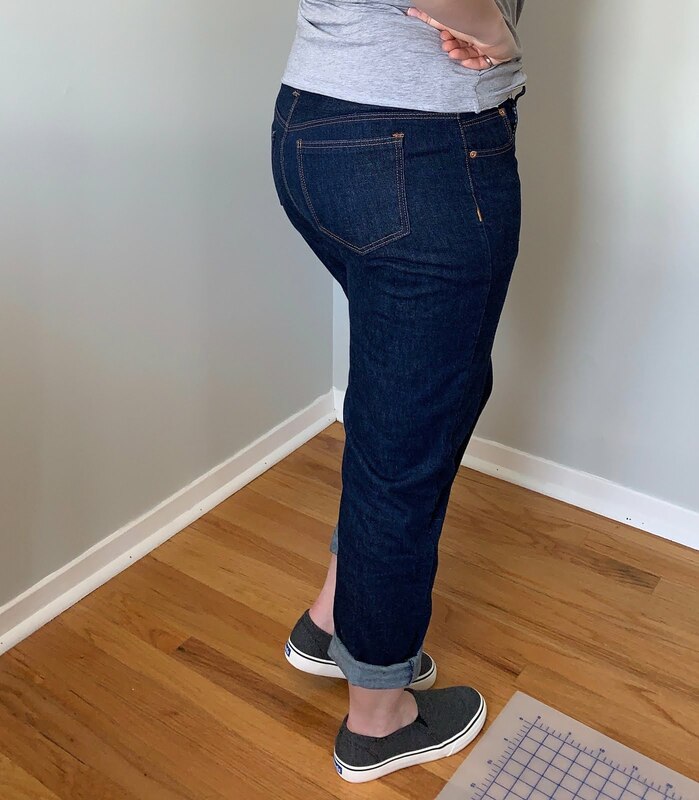 To check what kind of adjustments I might need, I compared the leg, yoke, and waistband pieces to my altered Ginger Jeans pieces. Turns out, the adjusted Ginger pieces almost exactly match the unaltered Morgan pieces. The additional rise & space in the seat, and the extra curve in the yoke & waistband. These jeans fit my bum so perfectly. They're so dang comfortable! I did make them full-length and not cropped... but I definitely like wearing them cuffed more than not. Especially with a comfy pair of keds! 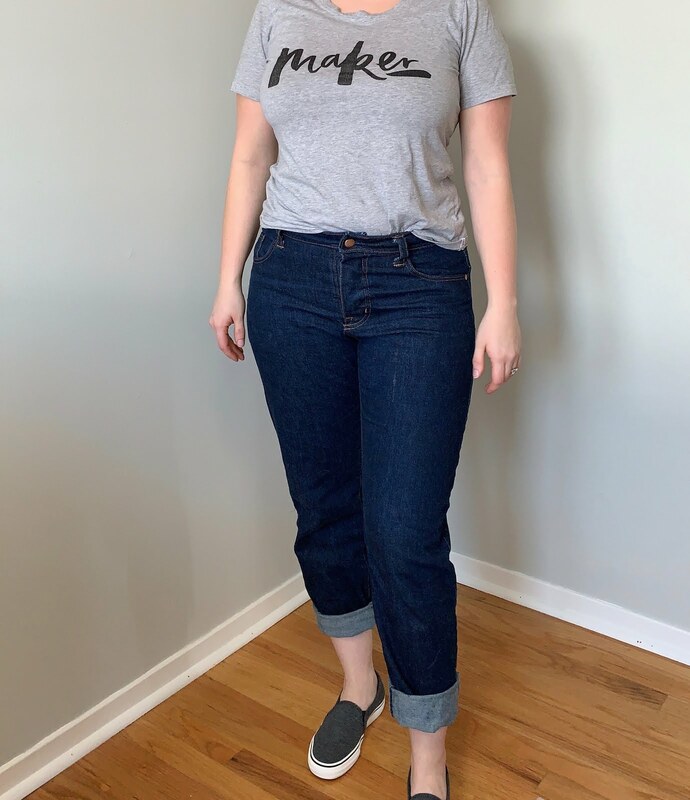 Cuffed jeans, keds, and a tee would be my every-friggin'-day wardrobe if I could get away with it. 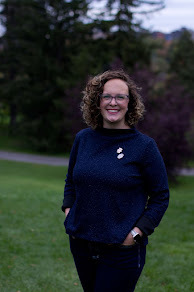 Sadly we have cold winters, stinkin' hot summers, and I had to be a bit more profesh at my office, so this outfit gets to shine the most in the spring and fall. 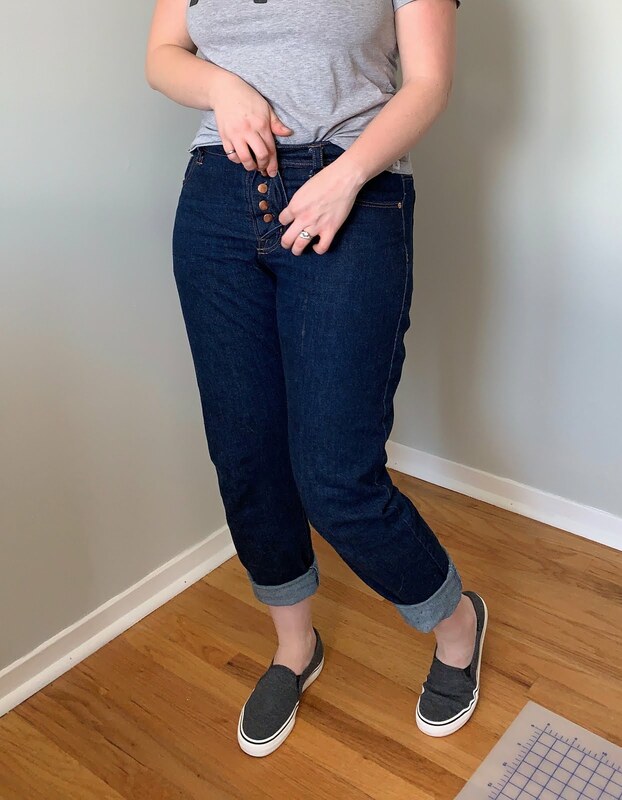 On this pair of jeans I used a lil' trick I saw on instagram for those of us who prefer cuffed jeans - top-stitch on the inside of the hem! 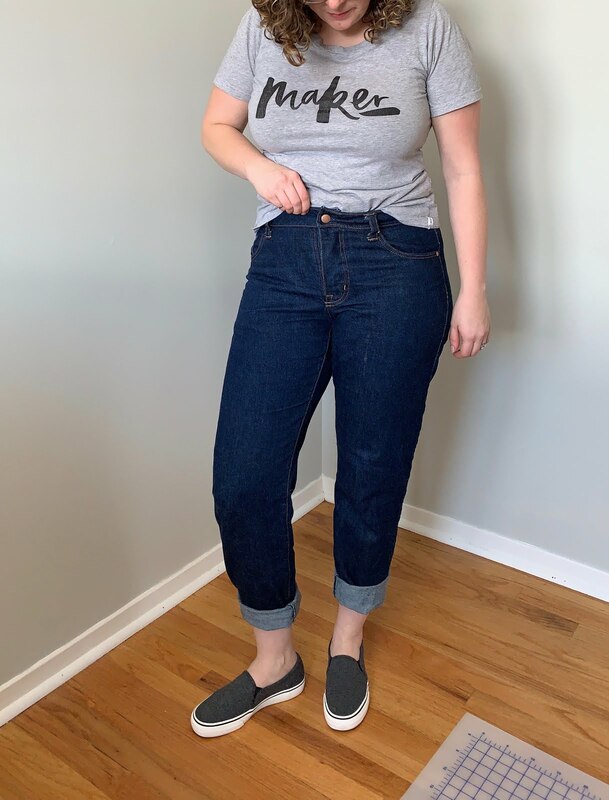 You end up with an "invisible" navy hem on the outside, but get that nice copper top-stitched hem when you roll up your jeans. 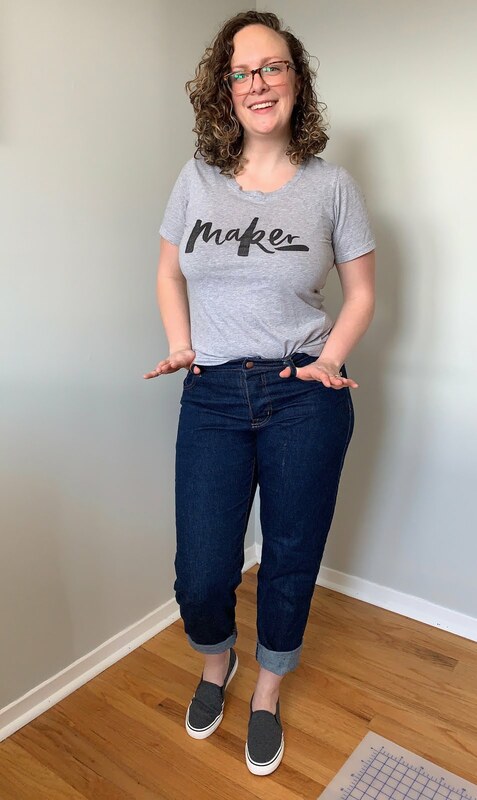 This was the first pair of pants I made with a button fly... and I was a bit nervous about it. Mostly for ease of bathroom visits... but also how on earth do you sew one!? Turns out it's way easier to sew than a zipper fly (which really, once you get the hang of it is not hard) and I had nothing to worry about. The fly does stick out a bit... but It's otherwise super comfortable to wear, is a fun look, and is easy on & off. Oh! I lied about not making any adjustments... I added a whole TWO inches to the pocket depth. This was really easy since the bottom of the pockets on this pattern are straight, and not curved or connected to the fly like they are in the Gingers. I can get my WHOLE HAND in my pockets! not that I ever really need to... (heck, I barely even keep things in my pockets anyways) but the option is there! 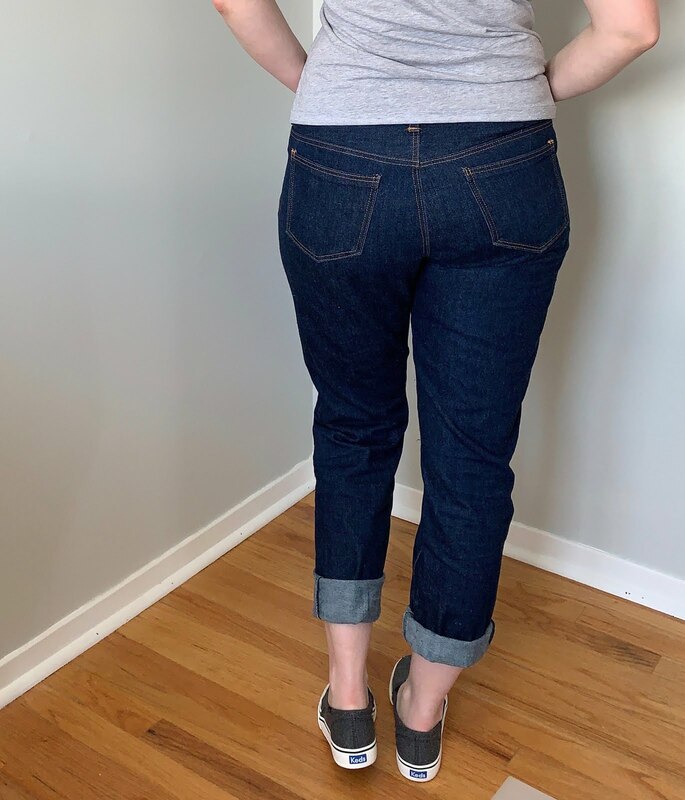 Overall, I LOVE this jeans pattern, and I love how this pair turned out. I've already made another pair (in PINK), and I have another pair planned in some cream-coloured denim once that fabric arrives in the mail. Not much else to say (other than you need to make this pattern)... so here are some more photos!